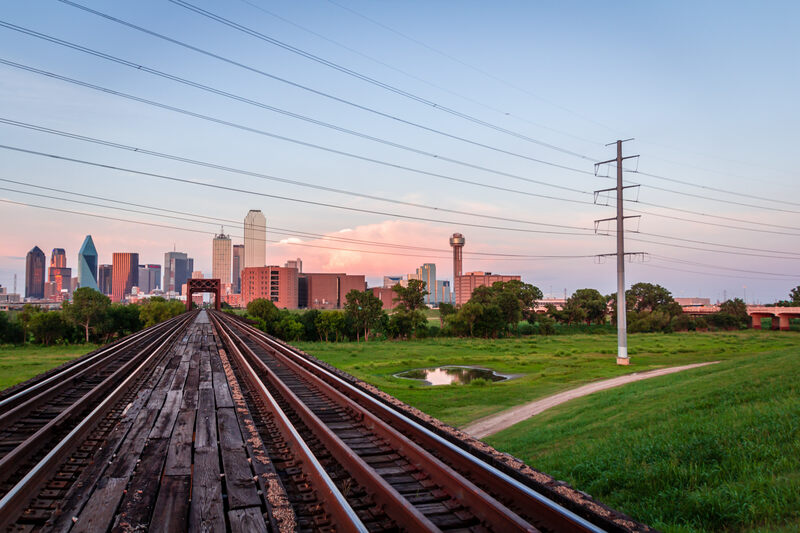 Train tracks lead to Downtown Dallas over the Trinity River floodplain as the sun sets on North Texas. 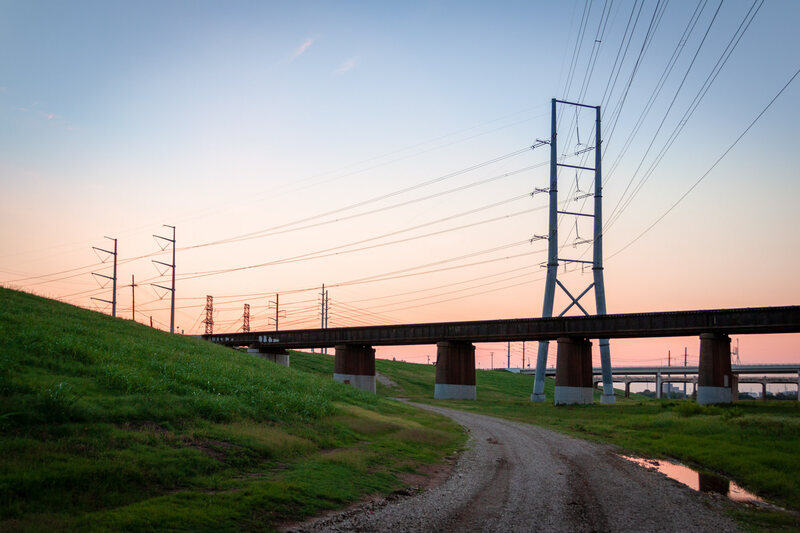 The sun sets in Dallas in this shot of bridges and power lines in the Trinity River corridor. 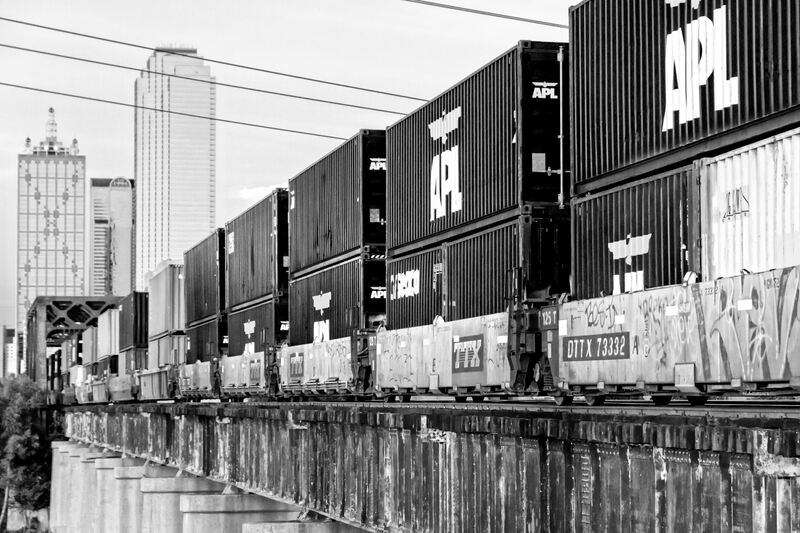 A Union Pacific train proceeds westwards over the Trinity River from Downtown Dallas. 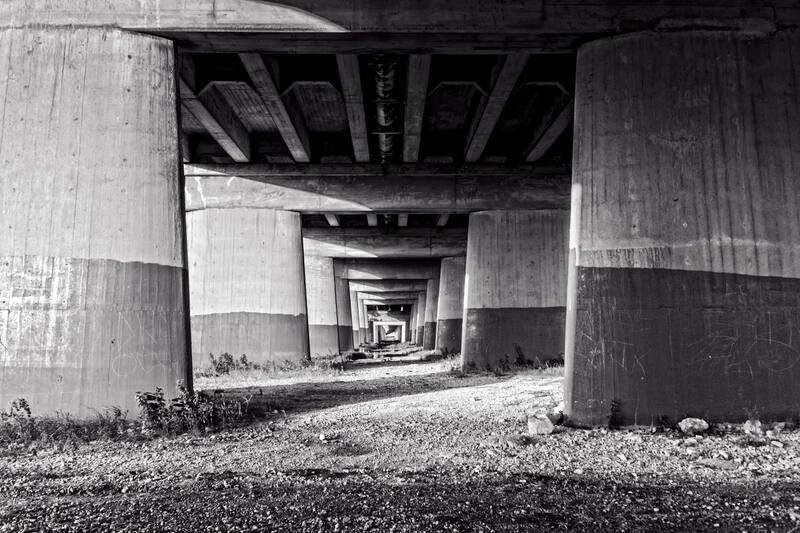 Underneath the Commerce Street Viaduct, Dallas. 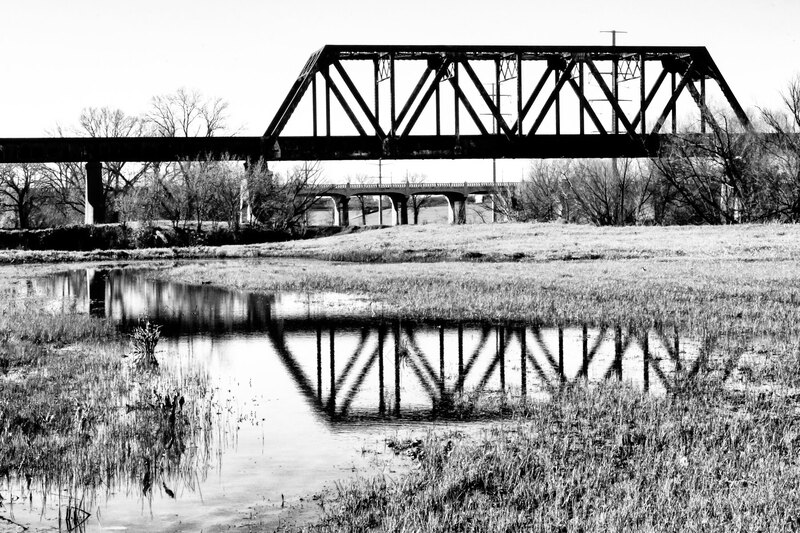 A railroad bridge spanning the Trinity River just west of Downtown Dallas, Texas. 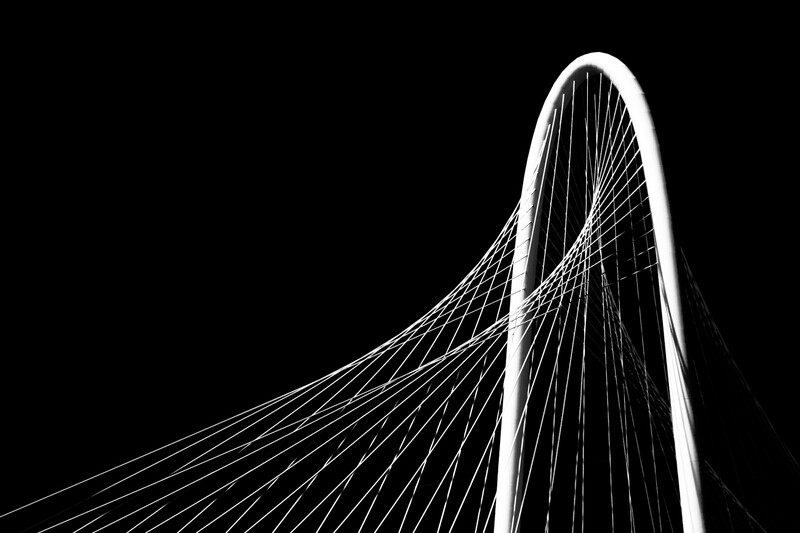 Detail of the main arch and suspension cables of Santiago Calatrava’s Margaret Hunt Hill Bridge, Dallas, Texas.